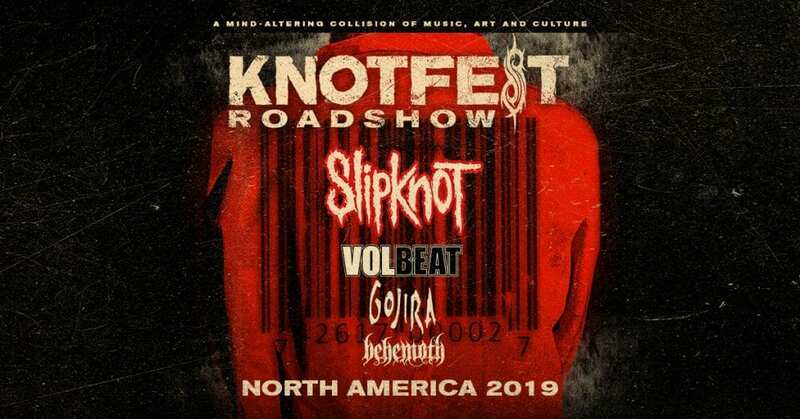 Slipknot will return to the road this summer to headline their annual “Knotfest Roadshow,” set to feature acts Volbeat, Gojira, and Behemoth. Knotfest, dubbed as “A Mind-Altering Collision of Music, Art and Culture,” will kick-off on July 26 in Mountain View, California. From there, the show will make stops in cities like Denver, Toronto, Phoenix, Tampa, and Dallas before wrapping-up in The Woodlands, Texas on September 8. Additionally, Slipknot can be found performing at the Iowa State Fair with Gojira on August 10 in Des Moines. The festival, which debuted in 2012, will celebrate its seventh edition. Since it first started, Knotfest has been held across the globe, playing in the states, as well as Mexico, Japan, and Columbia. Artists like Deftones, Five Finger Death Punch, Papa Roach, and Bring Me The Horizon have played Knotfest in the past.